Prometheus Burning – Help Japan. Get Free Music. Donate to the Red Cross to help support Japan. Get a free Prometheus Burning digital album. Since our first official release “Influenza” in 2004, we have been receiving orders of our music from Japan. We have personally shipped more copies of our albums there than any other international country. In 2008 we released “Retribution”, our collaboration album with Japanese Cyberpunk author and literary madman Kenji Siratori. In 2009 our friends in Osaka and fellow electro assassins Uterozzzaaa offered us a small tour in Japan which we sadly had to decline at that time. In 2010 Gregg Janman, a resident of Japan and engineer of Hermetech Studio, mastered our double disk release “Displacement Disorder”. It was also around this time when we received a lot of messages from fans and DJ’s in Japan like DJ SiSeN sending us their playlists or video clips of people going nuts to our music at events. TL;DR – Japan has been extremely supportive of Prometheus Burning and we greatly appreciate it. 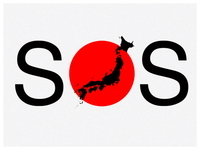 Now we ask you, our listeners and friends, to help return the favor by supporting Japan in their time of tragedy and need. Donate money to the Red Cross. Forward us your receipt email or send us a screenshot or whatever, showing us that you donated something, ANYTHING, and we will send you a code to download any one of our albums from Bandcamp for FREE. This offer will stand starting now, March 15th, through March 29th… or possibly longer it people are taking advantage of it and continue to donate. We wish we could offer you more incentive, but that’s about all we can do right now beyond donating ourselves, which we did today after it was announced that Japan is now taking international assistance, and working with the Red Cross who just sent an initial $10 million to assist Earthquake and Tsunami survivors. Read all about it and make your donation by clicking HERE. Full details at the Prometheus Burning website.